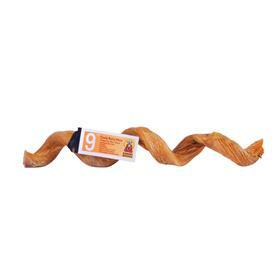 Our 9” Curly Bully Sticks are fun to chew and perfect for small to medium sized dogs. Our custom-made human-grade ovens allow for our bullies to preserve their natural beef flavor and a more natural color. They are additive free, chemical free and preservative free. We do not smoke or add smoky juice to our beef bully sticks.